The Boathouse sits on the historic quayside of Glencaple, overlooking the River Nith. With a cosy snug in which to relax and a restaurant with stunning views to Criffel in one direction and towards Dumfries in the other, it is the perfect place to meet up with friends and family and enjoy the delicious food on offer. During the day, our menu ranges from brunch and lunch, with seasonal specials, to freshly baked scones and cakes. On Friday and Saturday evenings we open as a restuarant for dinner. We advise booking for weekend lunches and evenings! Vegetarian, vegan, gluten, dairy free and allergy friendly options are available throughout our menus – please contact us for further information if required. We offer a warm welcome to locals, families and visitors, with free wifi and al fresco dining out on the deck. One of our community focused aims is to sustain a village shop, with every day provisions and local produce alongside gifts. We also aim to tread lightly when it comes to the environment and sustainability. 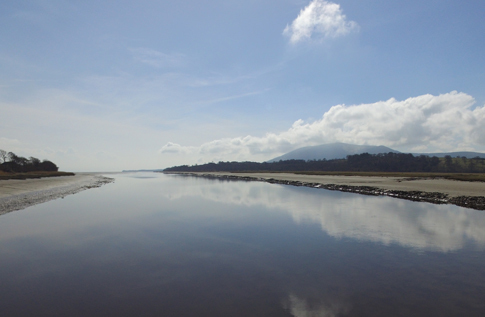 Join us for a relaxed meal and enjoy the stunning backdrop of Criffel and the River Nith whilst listening to the sounds of The Boathouse playlists! The first ship to enter Glencaple Quay was the ‘Success’ bringing a cargo of American tobacco. Other imports included lime and coal from Cumberland, grocery goods from Liverpool, timber from the Baltic, and rum, dried fruit and port wine from Spain. One of the strangest items brought in were animal bones, which were processed locally to produce fertiliser. Website by BDSDigital© 2019 The Boathouse Glencaple.